The operation launched on Turkey’s eastern border at 08.00 a.m. local time (0500GMT), Turkish interior minister says. Turkey has launched a joint operation with Iran against the PKK terrorist group on Turkey’s eastern border, Turkish interior minister said on Monday. 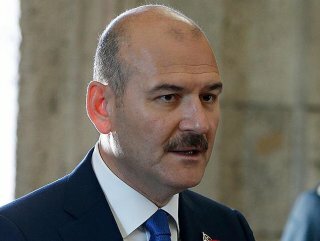 "WE WILL ANNOUNCE THE OUTCOME OF THE OPERATION LATER"
“We started joint operation with Iran against PKK on eastern border at 08.00 a.m. local time [0500GMT],” Süleyman Soylu said in the Mediterranean city of Antalya. “We will announce the outcome of the operation later. We will eliminate [terrorist PKK]," Soylu added. In its more than 30-year terror campaign against Turkey, the PKK listed as a terrorist organization by Turkey, the US and the EU have been responsible for the deaths of nearly 40,000 people, including women and children.